And this wasn't intended to happen. By now, we were supposed to have gone away. 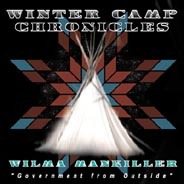 LISTEN to/or DOWNLOAD "Tribal Sovereignty" Speech!